Yes. The window is open. 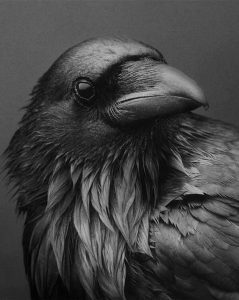 I will put on my black feathers, like my old brother Crow. Take these wings and learn to fly! Love it! Clear imagery, so much motion and joy! Such a fun poem!!! We live where the crows fly, talk, holler, bully, dive, and altogether… put on quite a show! We love and enjoy them.. and this was fun to read! Funny thing, Don—this year, for the first time, a crow is visiting my birdbath several times a day to dip bread some neighbor must be setting out. My connection with this clever bird seems almost personal. Now, with the imagery of your poem, I can imagine flying with him over the roof tops and tall trees of Fort Collins, and the feeling and view are breathtaking! Thank you.